3) Thank Y O U, Map Makers! this is in the ini file at the bottom, every map has one and i highlighted the text refering to iniforms in red. you can also change the uniform from light medium or heavy in the ini file. 2.1 Left click on "ravenshieldcompressor_2.2_fix.zip"
2.2 Click on "Decompression to"
2.6 Put "compress.exe" into your "Windows7/Programs/.../Red Storm Entertainment/RavenShield/system" folder. 3.4 Select the files which should be compressed & click "Compress file Types"
3.5 The compressed file version has the ending ".uz". E.g: "MyOwnMap.rsm.uz"
Enjoy creating more maps for RvS & thank you for your ideas, creations & the time you spend working on it! E.Estrada wrote: Just a heads up, you don't need any extra tools to compress ravenshield files. The game comes with a compression utility, UCC.exe and it's in the system folder of Ravenshield. In addition it works across Windows platforms, so no need to have XP. You use it by copying any files you want to compress into your system folder where UCC.exe is located. You then open a command prompt and navigate to that system folder. If you happen to have Windows Explorer open to that folder as you just probably copied the files you want to compress, you can hit alt + d on the keyboard, and then type cmd and then hit enter, which will open a command prompt there. After they compress you will have a .uz version of the file in the system directory now, e.g. Airport.rsm is still there, but a new Airport.rsm.uz is there as well. This message is for those who enjoyed & spent time creating maps for RvS. For all of those people who give a try to see if they can create their ideas. Put it in a map. Enrich our RvS community with their concepts & passion, their time & patience. We hope it's alright, when we add terrorists & fix broken spawn areas to maps mentioned in the "Map Report Center" section! Our main man for mapping is HeavyMetal at the moment & SpecOps might join him with this little job. You guys out there somewhere have my respect & keep going! And while I cant offer something as sweet at Oni can, hehe I can tell all of the Editors out there, you have my Thanks! We'll do what it takes to keep OS running smooth, so the maps can make it on our server. THIS CAN BE USED AS FINAL BUILD OF MAP AS FINAL OPTIMIZATION The photo represents Build settings used for Mallcrasher which has 5 levels with around 15 rooms skymap and large outside area . The slider bar allows the map builder to optimize the map for speed. It makes adjustments to the number of BSP cuts which affects performance and frame. Few maps are perfectly open or highly occluding, so the number of cuts must be determined per map. The default of 15 cuts has been found best for most maps. Save often. UnrealEd is finicky and not the stablest environment. You can set up autosave by opening the advanced options property editor in the view menu, and expanding the Editor\Advanced tab. The AutoSave and AutoSaveTime properties control level autosaving. After UnrealEd crashes ensure you rebuild the level completely. Use autosave to save your map periodically. Autosave information can be found here: UnrealEd Advanced Options. There's some known issues with UnrealEd ..... The stability of the program is reduced the longer you run it (tarquin reports getting about 30 minutes out of it at a time). Symptoms of this problem are "critical errors", "runtime errors", or "illegal operations". The only way to fix this is to reboot and keep trying. If you see WM_BROWSER_DOCK in the crash history, try going in Unrealed.ini and changing Docked=1 to Docked=0 under [Texture Browser], [Sound Browser], etc. This happens occasionaly, sometimes it is caused by something easily fixed and obviously wrong with BSP (like you made a surface antiportal when you needed a zone portal). If this is not the case, it can often be resolved by copying every actor and pasting it into a new file. Note that unrealEd offsets everything when you paste it, so you might want to correct this to keep everything on major gridlines. Also removing lights is known to help. What if you change the build settings? If you playtested your map from within UnrealEd recently, that version of your map is called Autoplay in your Maps folder. Look at the folder in Details mode and sort by last modified date, that will put the last save right at the top and easy to find. All the viewports are white when I start UnrealEd. How do I get them back? That's an old bug. Do UnrealEd Main Menu -> View -> Viewports -> Configure -> OK to fix it. UnrealEd shows up with a "window creation error" when I start it. What's wrong? You have to restart your computer because system resources are too low (below 50%). To see how much system resources you have, right-click on My Computer and select Properties. On the performance tab, it will say how many system resources you have. None of the resource browsers (actor browser, etc.) are accessible. This appears to be generally caused by the browsers being located off the screen. To get them back onto the visible portion of the screen, open one of the browsers. The window focus will change to the window that you cannot see. Press ALT-SPACE, then M to select the move option from the mini menu that's a part of every window. (If you are using a non-english version, click the icon in the top left of any window to see the menu and the appropriate hotkey.) You can then use the keyboard arrows or the mouse to move the window until you can see it. When I had this problem, the window was located just off the right edge of the screen. Or, after clicking the button to open the browser, right click the task bar and select 'Cascade Windows' it will bring any off screen windows to fore. My map suddenly takes a lot of time to load/light and moving this static mesh takes several minutes! Normally this happens after you add a large (in dimensions or over ~20,000 triangles) static mesh into map. You might also notice that the SetDynStreams in the Hardware section of the STAT console command is several milliseconds. The solution is to either set bCollideActors property to false for this large static mesh or add a simplified collision shape. See Static Mesh Modeling for more or static mesh collision. When I start unrealEd, the buttons in the toolbox window (the one on the left) are blank. they don't have icons. WTF? This could be because you have misplaced or deleted your editorres folder located within the System folder of all Unreal games. I'm not sure what causes this, but it can be fixed by moving the BSP a little bit in any direction. How do I add packages to be loaded at startup? This is useful if you want to have access to the actors your mod uses, or if you're always using the same resource packages. Add the line "EditPackages=MyPackageName" to the [Editor.EditorEngine] section of the game ini file (the exact section may change with some games – look for similar lines). How can you determine what packages are used in a map? I have a map that's failing to load but I don't know what's causing the problem. Use UT Package Tool to extract a list of used packages. Examine View -> Log in UnrealEd and read the last log message - it will tell you what package couldn't load. Only brushes that aren't Volumes can be used for that. When I close UnrealEd I see a dialog box message "Package # Has Changed, Save It Now?" We think it's just a UnrealEd bug. Say "no" and don't worry about it. This problem may occur if your various static mesh, sound, etc packages have the same name (excluding the .usx, .uax etc extension) – see Package naming. Of course, you also may have forgotten to save your mesh/sound/etc packages after changing them. Again, this may be a problem with packages having identical names (excluding extension) – see Package naming. Or again, you may have forgotten to save the relevant mesh/sound package after changing it. Can I have dynamic day/night switching in my map? Yes, but the Hell if I know how! You could probably have a "sun" lightsource and a "moon" lightsource and a mover to blank out one or the other? DodgyJon. That is normal. UnrealEd uses the same gamma correction setting as the game itself. To change the level, look under UnrealEd Advanced Options. To start UnrealEd with no correction at all, make a shortcut with "UnrealEd.exe -nogamma". What is the acceptable polycount in maps? How can I turn an 831K map into a 6Mb monster at the click of a button? Simple – just re-build everything on the map. It seems to be the lightmaps that are responsible for most of the size increase although the bot path data has also been fingered as a contributing factor. (Merge this one with the above) Is there anything I can do to keep my maps a reasonable size? Apart from using nothing but static meshes and terrain no. Once you get above around 200-300 brushes (normal adds, subtracts etc) your map size will bloat for no obvious reasons. How are static meshes lit? What I know so far: for regular static meshes, the lighting is calculated per-vertex, and can be shadowed (per vertex) by BSP geometry. I assume, but have not confirmed, that this means the lighting is calculated at build time, and movers and other dynamically lit static meshes do not get this treatment. When I make static meshes in UED they appear extremely bright. How can I darken them? In the Display properties of the mesh, set bStaticLighting and bUseDynamicLights true. While making a skybox, the textures are smeared, and no manipulation of the alignment seems to fix it. The picture is of a simple 1024 cube. What is the solution? Switch to the Pan/Rot/Scale tab. Press the "1" button for each direction. If that still doesn't fix it, look at the BSP cuts in Zone/Portal view. Clamping textures don't seem to cope well with cuts. If this problem is in your skybox, the move it away from the rest of the map to remove stray cuts. I've tried to create a fluid object, i can see the surface from above the water, but when i go under the water, i can see straight through it and all the terrain around, how can i fix this?? Use a Shader or FinalBlend to make the texture two-sided. When I get in the game, all I and my bots do is die. What's up? Last edited by SpecOps on Fri Feb 20, 2015 10:47 pm, edited 2 times in total. 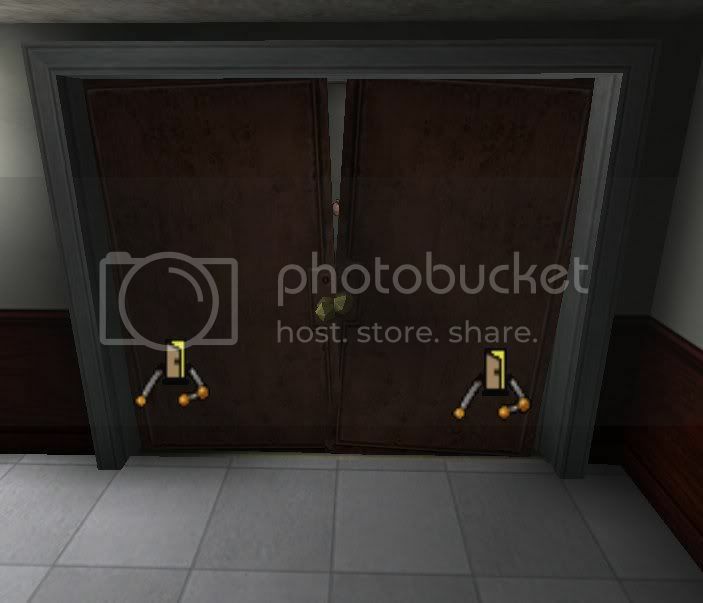 I had a set of black doors on DEEP_ONES that fixed themselves on a final build; they also had an issue where they rotated oddly despite being placed correctly and duplicated throughout the map. I set the parameters of the doors correctly each time, but they warped on me. The editor does weird stuff like that and I often cannot fix it unless I have an old build to revert back to. Also, check to make sure the doors are not sitting on zone portals and both sides have zone actors. Quite possibly the static meshes are receiving lightning from being placed in two zones at the same time. Usually, it is a missing zone lighting actor and the author of the map like I used to do for my first couple of maps did not know how to use them and instead went crazy with random light bulbs that sometimes backfired in that placing too many of them left "shadow spots" for a lack of a better term. Thx for your awesomely quick reply Xan I never knew about Zone"Lighting"Actor I will try that out My portals almost always work with little effort and i always check them in the editor and in the rmode2 i believe in game. Sometimes i set "StaticLighting" to false in DiplayProperties and it seems to heal the black doors. Until I play on the server they randomly return and I can see them again. Wow those doors you had where spazzing out there huh, wow make you wanna tear your hair out lmao And I usually only use one lightbulb per room unless i have flames etc. For some reason I just love doing the indoor maps not much for outdoor ones. But man do yours look great! Keep it up! RVS for life hehe P.S. just saw your awesome video today on youtube, the one featuring your maps. I was like cool! And was telling my dad how many times i've died on each of them! hehe fun fun! Another question, should a ZoneLightingActor be placed in each seperate zone or just once? ActorClasses -> Actor -> ZoneInfo. Place that in each zone and set "ZoneLight -> ambient brightness" to something besides zero. Spending some time today uploading my new maps to my website. I love outdoor maps, so much more you can do. You can have a limitless number of indoor areas; my biggest problem is that I have Morrowind/Skyrim size idea for a map and that would blow up the editor. I always think on too large of a level. Something like Bloodbath is too easy and boring for me these days. Sure, I can make small areas detailed, but I really want to do Apogalacticons all day. Spec here are some tips for your editor woes. 2. Memorize where certain options are so u don't have to expand/resize to read them. 3. On larger indoor and outdoor maps always use Fog via ALL ZoneInfo properties, ZoneLight, also set ambient light from 9-30! (I set the light and fog i want on first ZoneInfo, then just copy You can also change the way light looks on the SMs by changing Hue and Saturation, Build to see effects! 4. Always back up your map, never overwrite said backup until you have run the rsm within the game with no crashes for at least 10 mins. 5. You can copy most things from the stock maps including R6InteractiveObject's, select what u desire to copy, right click, select Copy, now open your map and dont save said stock map, right click on your floor. select Paste Here, move the object up or down and it will appear, left click on your floor, save your map(now it wont disappear), now move said object into desired postion, Done! 7. Don't forget sounds via Map_SFX packages! Also! Don't forget stop sounds (Stops the sound u started playing) like lockpicking etc. Don't forget footstep sounds matching the texture package u used for yourmap, for both Rainbow and tangos via LevelInfo properties! Movement sounds and BodyFall sounds. Foley_NPC etc. 8. Never give up! Start with the best theme you can think of and have fun! 10. Don't save your maps in the games folder, (I use Documents\NewMaps) no spaces in folder name! Copy from there to the games, maps folder to test. 11. If the editor does bug, all you have to do is reinstall the game! Fixes everything! Make sure you copyd your .tpt .utx .sm and any other files your map requires! Reinsert required map files after reinstall and resume editing. 20. Don't stop man I'm begging you, just think Spec if you continue to tinker, youll be making awesome maps in no time. I would hate to miss out on seeing that! Think, even if your editor is unstable RVS only take like 30 mins to dl and install from Steam. Keep mapping dude cant wait to see more! 23. Xanatos!!! You rock man that's all i can say! Some of your maps look like you got carpel tunnel inflamed lol A lot of mouse work my friend nice! You milked that mouse like Bob Ross milking his brush Got a chance to play Angband map on your server very nice work Looking forward to more! 24. I can never give up on this editor or this game... It's just too damn cool what IS still possible Just take a break for awhile, that's what i do when i get bored with it And Spec you are a good guy and we appreciate what you have have contributed so far trust me Really was blown away by your elevators on AttackLevel map, i think im the only one who was working the elevators just fine ehehe Dont know if the keypad was invisible to some or what lol Loved it man! 25. I gave up on SunsetCity for now too large and time consuming, but here is what I've been up 2 ehehe It's almost done, gotta finish meshing the upstairs, then pathnodes and finally T's Will support Thunt, CoopThunt, TeamDM, DM, and Lone Wolf!